It’s an old house, not crazy old, but old enough to make me crazy happy. And it has lots of added bits and pieces; a franken-house if you will. I’m so excited! But, that’s not what I wanted to talk to you about today. I’ve just read an amazing book and I’m nearly through another amazing book. 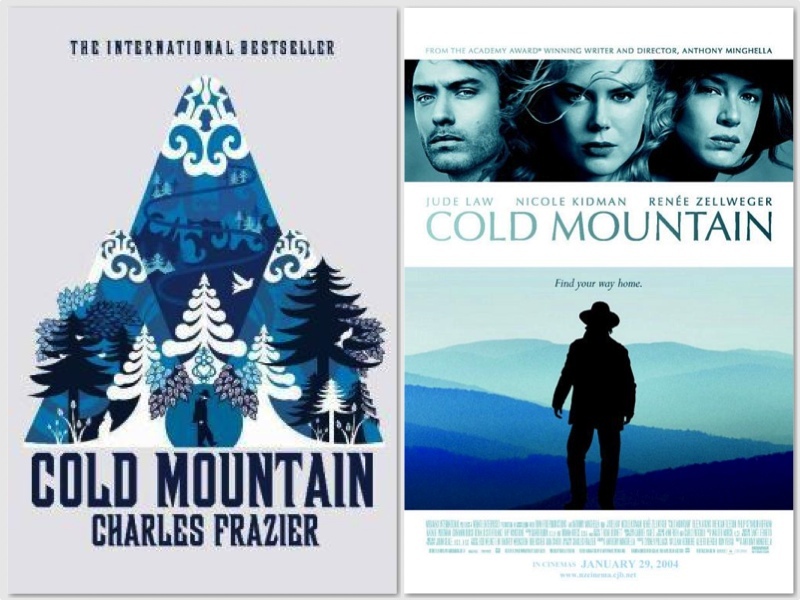 The first book, which I’ve mentioned quite a while back, is Cold Mountain by Charles Frazier. I read it voraciously until I was about three quarters of the way through, and then I had to put it down for a while because I go through headachey periods and I desperately need new glasses (still don’t have them, have I mentioned that I’m an excellent procrastinator…). But, then I picked it up and again and powered through to the end. And, let me tell you, it’s an epic read. It’s beautifully written and the characters are interesting and you genuinely feel for them. And it all builds to the most wonderfully sad and devastating yet beautiful and hopeful ending…Oy! I was a little messy when I finished, I love a good weepy book. The whole time I was reading I was dreading the film, which I had not seen. I just could not picture Jude Law and Nicole Kidman in the lead roles. Well, they do okay. The movie is definitely worth a watch, and things have been re-jigged enough that those actors are totally wrong and actually do quite a good job. It’s cinematography is gorgeous and they did a good job of condensing the book into the film. Renee Zellweger was absolutely perfect in her role, and it makes me sad that I can’t remember the last good film I’ve seen her in. Natalie Portman also had a small but intense role that is a credit to her. I’ve started thinking about who I would have cast. Do you do that? Do you make up “dream casts” in your head for books that you loved? I do; it’s a problem, I can’t help myself. Immediately after I began True Grit by Charles Portis. 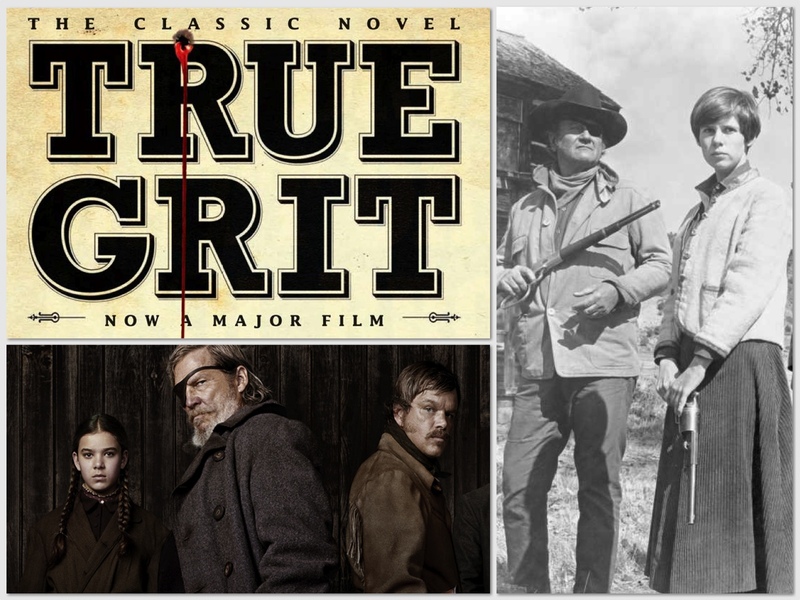 I stuck with the Charleses and I stuck with the same century, though True Grit takes place a decade or so after the Civil War. I was terribly excited to read this book as I saw the 1969 film when I was but a wee bairn – my Ma is a massive John Wayne fan – and I adored it. I adored most John Wayne films I saw back then, but especially this one, perhaps because it had a plucky child for me to relate to (not that I was plucky, but I wished that I were). I was very excited for the new film, but I decided that I wouldn’t see it until I had read the book, and I ordered it online and had it waiting for when I finished Cold Mountain. I’ve just reached the story’s denouement and gee willickers is it a swift ride! I’ve sped through book and have enjoyed every second of it! I’ll probably finish it in bed tonight. I definitely recommend both of these books; one is more of a commitment – Cold Mountain isn’t a difficult read, but it can be emotionally draining (if you become as emotionally invested in your books as I do!) – and the other is a short but sweet affair; I’m a slow reader, so I think you could finish it in a only several sittings at an average speed. If you’re interested in a proper review, let me know. I’ve not given too much away – just my recommendations – but I think a proper review could be fun (just not this close to bedtime!). A Deer-ish Dear, A Post-Op Teddy & New Toys! I haven’t read Cold Mountain as yet, but it’s on my to do list. The last film I loved with Renee Zellweger in it was Miss Potter – have you seen that? It was a great film about an amazing woman – I read a biography about her after that. The last book that I read that was made into a film was Rebecca by Daphne Du Maurier -which was a brilliant read and who could stop after such a wonderful opening sentence “last night I dreamt I went to Mandalay”. Then I watched the film which was an early Alfred Hitchcock starring Laurence Olivier and Joan Fontaine and it was excellent, I loved watching it one cold, rainy day. The film wandered slightly from the book, but I forgave it. Oooh, you really can’t go past a Hitchcock film, can you? One of my favorite Hitchcock films is The Birds, which is also a Daphne Du Maurier book. I’ve never read it, but maybe I need to go on a DDM binge… Hmmm… thank you for the idea! You do have to forgive films a little bit because it’s different medium and it’s only two hours or so of time when a book can almost be whatever size it likes, and will look different to every single reader in their heads. So, we have to give them some breaks sometimes. But then, sometimes they just do a criminal job. Oh well. I love Hitchcock films too. I’ve just watched ‘To Catch a Thief’ which was gorgeously made up with Edith Head costume designs..and who can go past Cary Grant and Grace Kelly! However I have read DDM’s The Birds…which is more like a novella and it’s been years since I’ve seen the film. My alltime favourite film is Rear Window and I have it on my to-read list too. Another good film I’ve seen recently is Cat on a Hot Tin Roof…beautiful Elizabeth Taylor and Paul Newman giving a stellar performance…and Tennessee Williams had such a tension in his plays that translated to film. I hope you see Miss Potter soon and I’d love to hear what you thought of it. Very exciting news about your new house! Are we allowed to ask where? ps: love the old window 🙂 Unfortunately somebody must have driven down our street in the 70s with a truckload of brown paint and aluminium windows. 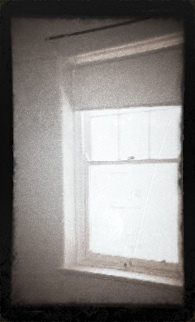 We got rid of the brown paint… hopefully we can get some wood windows put back one day.